Storystream | Stories are at the center of everything. Stories are at the center of everything. 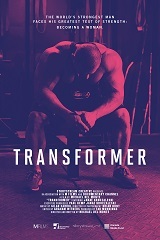 Our latest documentary TRANSFORMER has won The Jury Prize and the Audience Award at the Austin Film Festival. We co-produced TRANSCEND with the Kennedy-Marshall Company. 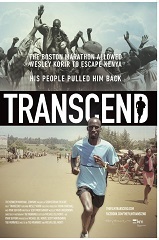 TRANSCEND tells the story of Boston Marathon Champion Wesley Korir. We tell stories using moving images, because we believe in their power to persuade, empower and inspire. Technology and innovation is increasingly allowing us to reach and impact a targeted audience through a multitude of channels. A work small and smart pedigree, gives us the versatility to create quality content at a variety of budget levels for our clients and ourselves. We’re located in Toronto, Canada and love to travel. We provide full service development and production of documentary, narrative, factual, branded content and advertising. The Riddle of the Sphinx – Why do People Bullfight? Tad started Storystream with the goal of telling stories that have an impact. He’s got a significant interest in international development and exploring the role that documentary filmmaking can have in shaping our view of and approach to the developing world. He lives in Canada with his wife and five children. Nicholas Taylor is a filmmaker and digital media strategist. He’s engaged in helping brands and organizations leverage new media to tell their stories more effectively. With a passion for international development, his work has brought him all over the world. Brian Hunt has been working in Video and Film for 15 years. After getting his start in action sports films he quickly matured into a sought after Cinematographer. His post-production experience and technical expertise enhances his ability to capture the essential elements of the story when he’s behind the lens. Scott works in many different media as a strategist, creative producer and writer. With a wide range of interest (from the Italian Renaissance to geopolitics to the history of American popular music) he has published numerous articles on culture, travel, and film. He is currently in production on two documentaries with Storystream.